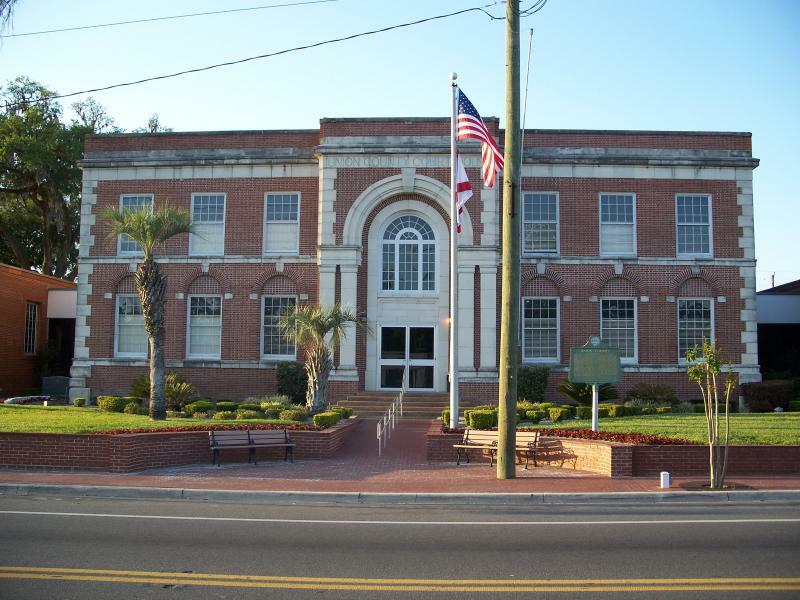 In 1859, 40 acres were purchased from the government and streets were laid out for Lake Butler, the county seat of what was then New River County. 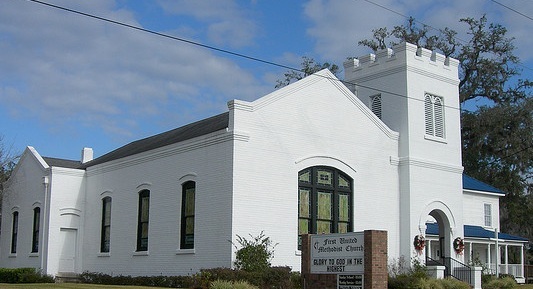 When Baker County was divided from New River in 1859, the remaining portion of the county was renamed Bradford and Lake Butler remained the county seat. The town was named by an early surveyor and the reasons for the choice of "Lake Butler" are not clear. Late in the 20th century stories circulated that the town was named for a "Captain" Butler who died during the Seminole Indian War and was buried on the north shore of the lake. It was later proven that the heroic soldier wo gave his life protecting the white citizens of the area did not actually exist, although the battle he was supposed to have died in did actually occur. 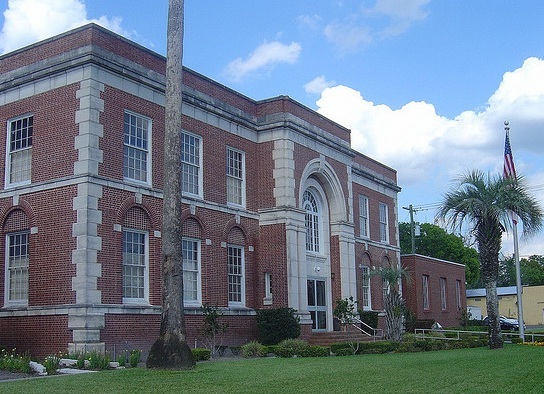 Some early names recorded to be in Lake Butler around the time it was established are: William J.D. Prevatt, Capt. H.F. York, Capt. Roll Thomas, Col. L.B. Rhodes, John Croft, and M.L. McKinney. These names were listed as being from Lake Butler when they were inducted into Company A of the 7th Florida Infantry in 1862. Other records list early residents of Lake Butler as: Dr. O.V. Walton, Dr. Sol Newsome, Thomas Irving Dekle, Grancer Palmer, W.S. Epperson, and Major Joseph L. Hill. Capt. 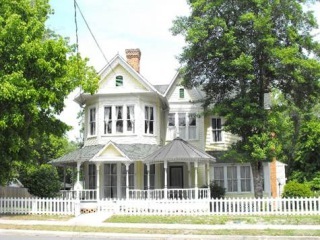 York served as the first clerk of the court and was a partner of a general merchandise store called York and Rhodes. R.H. Barnett was a riding preacher for the Methodist Church and also an employee of York and Rhodes. 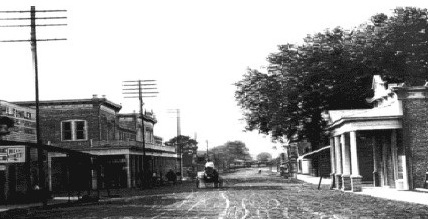 Toward the end of the Civil War, Lake Butler's business district began to grow. The first post office was located inside a general store owned by J.H. Porter, who acted as the first postmaster. O.W. Maines, grandfather of the famed Lake Butler historian and late "country" attorney Hal Y. Maines, assisted Porter as postmaster. 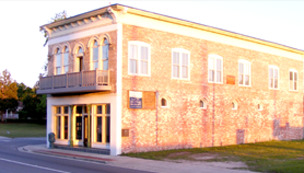 The present Masonic Hall located on Main Street adjacent to the First United Methodist Church, was one of the earliest public schools in the town. The wandering tribes of Seminoles made regular raids upon the white settlements located in Southern Georgia and Northern Florida and before the sufficient force would be organized to capture them, they would scatter into the wilds of our tropical state. One of these tribes, under the leadership of a chieftain named Bendoris, had ventured across the state line and gathered rich plunder from the Georgians. He hurriedly retreated into Florida and pitched his tent on the West side of Silver Run, near a spring later known as Odom’s Spring. This site, well known to local people, is near the Southern Railway, a short distance South of Lake Butler, near the City Water distribution plant. When General Andrew Jackson heard of this raid, he sent a detachment of soldiers under captain Butler to overtake Bendoris and his tribe. Captain Butler marched into Lake Butler by way of Lake City and on Southward. He encountered the Indians on the North side of our lake and there followed a fierce battle in which both Captain Butler and Chieftain Bendoris were killed. The Indians fled to the South leaving the white people in possession of this section. Before the white soldiers left they named the lake, on whose shores they buried their comrades, Lake Butler, in honor of their fallen leader. For many years’ mounds that marked theses graves were remembered by early settlers of our county, however they have long since disappeared. Soon after this battle, a settlement was planted on the North side of the lake and it was called Lake Butler. But the town on the South side grew faster and the first house was located where the Tomlinson-Maines Drug Store was located for many years. 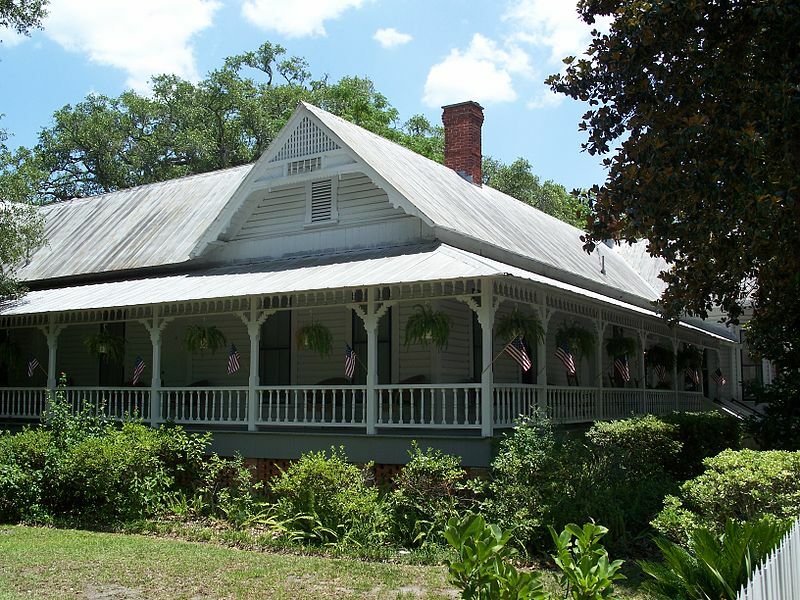 It was used as an Inn and operated by a Mr. Roberts for the accommodation of people traveling from Providence to St. Augustine and other points along the coast. Strange as it may seem today, Lake Butler was then a day’s journey from Providence, which was at that time the largest settlement in this part of the state. Joseph P. Richard (pronounced Ri-Shard) relocated his family to the Providence area after his Wayne County, Georgia Plantation was destroyed. Around 1875 Richard purchased a large section of land near Lake Butler, which included the Johnstown area, an unincorporated settlement between Lake Butler and Raiford. He also purchased other tracts in various areas and operated a grits mill, cotton gin, and sawmill in addition to his farm. He served as county judge for 14 years. F.M. Rivers founded the Rivers Hardware Store in Lake Butler during this early period, about 1880 and continued in operation until it burned in 1985. Rivers attained fame by manufacturing his own invention, the Rivers "double stock" plow, which was popularly used all over Florida and the South. The business was passed on to C.F. Rivers and then to Wilson Rivers, who still lives in Union County. W.C. Townsend came to Lake Butler from Georgia as a school teacher. Townsend married Susie Dekle and Townsend's brother J.W. Townsend later married Susie's sister, Lola. The Townsend Brothers had a successful partnership in farming and the turpentine business. They bought large quantities of land and built a successful clothing store in the town. The 1911 building built by the Townsend Brothers which housed the Farmers and Dealers Bank, was renovated and is now the Driggers medical office building on Main Street. 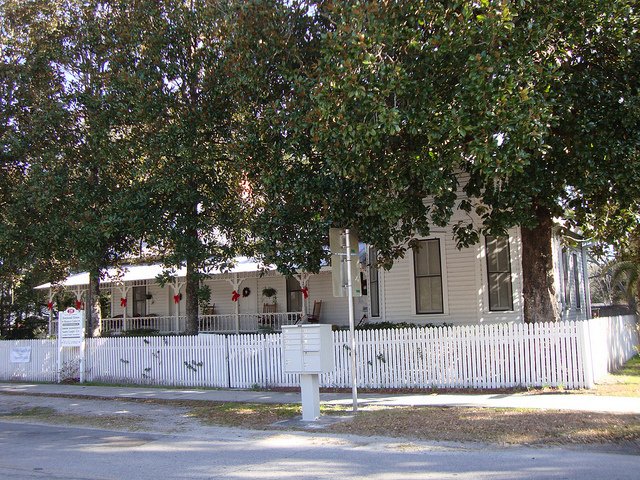 Lake Butler was surveyed and established as a town in 1859 and was the County Seat of New River County at that time. It now has a population of 1,743 and is situated on a beautiful lake of the same name. When the United States purchased Florida in 1819, wandering tribes of Indians lived and roamed here, following trails which in some instances are the general routes of today's highways. The main trail apparently led to Georgia and the west coast. The Indians raided into Georgia, then returned by these trails to loose themselves in the Florida swamps. One such party, led by a chief named Bendoris, paused on its return from a looting expedition on the banks of Silver Run in, near a place recently known as Odom's Springs, east of Lake Butler. Andrew Jackson was concerned about these raids and sent Captain Robert Butler with a detachment of men to punish the Seminole marauders. The two parties fought a battle on the north side of the lake butler lake. Captain Robert Butler had come with his men from Lake City, apparently surprising the Indians at their camp. During the battle, both Bendoris and Captain Robert Butler were killed along with a considerable number of others from each side. The surviving soldiers buried their comrades on the shores of the lake which they named Lake Butler. Married to Gertrude Ann Wynn & remarried to Marjorie Mizelle Lascola-four children; Elizabeth Ann, Barbara Jean, William Van & Avery Clarence. He was also a noted pecan farmer and cattle rancher. From 1934 to 1938, Clarence had served on the Lake Butler City Council. 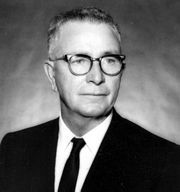 He served on the Board of County Commissioners, and was chair from 1940 to 1948. Was a Florida State Legislator and he served in the Florida House of Representatives for Union County from 1950-52 & 1956-1965.